Working together you can save the world and recover what’s been lost. Approaching challenges with love and compassion for each other will make your magik stronger and you can achieve anything, even amongst the thorns. Strength, endurance and respect will win the day! Swords bring us messages of Strength & Weakness, Endurance & Struggle, Respect & Animosity. When you work together with those around you, especially those who are close to you, the strength to endure is emphasized. If you feel alone with no one to turn to, that partner is your inner higher spirit. Because you’re never truly alone. When you align your energies with this perspective you each see the challenges before you from a different angle that allows all hidden issues to be exposed. Don’t work on problems as if you’re the one who has the only right answer. The endurance is promoted by the respect you have for each view that’s present. All ideas are valid and should be considered. Take the best of all suggestions, merge them together and you’ll create a plan to overcome the struggles and diminish the weaknesses that may appear to be holding you back. 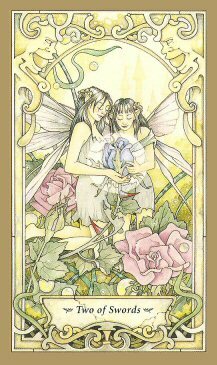 Working together is the key to finding the strength in your magik today. Remember that magik is nothing more than the science of energy manipulation. Focus on changing the energy around you and to mold it into what you want and need it to be. Don’t lie, don’t spin words to show how bad situations aren’t struggles. Be honest with both yourself, each other and those who must judge your plan. Exercise your strength and endurance with respect and you will aid in your plan to succeed. Think outside the box, be innovative and make sure you express your enthusiasm. You will create the necessary plan to overcome and recover the self security, assuredness and peace of mind you have lost. Compassion, strength and fortitude wins the battle this week!